I have finally started getting into the Christmas spirit along with my clients. I can't believe that Christmas will be here in just six weeks. 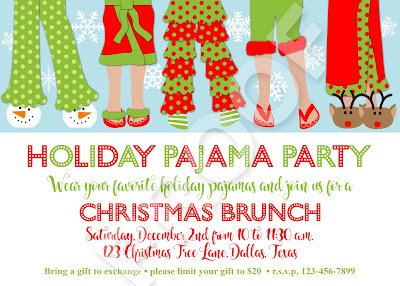 Here is the first invitation that I created for a long time customer of mine for a Holiday Pajama Party / Christmas Brunch. 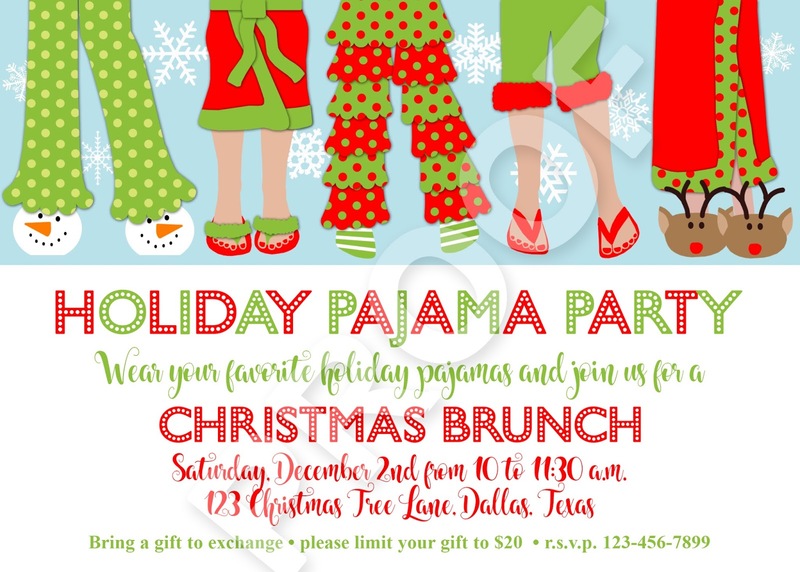 If you would like this invitation for your holiday party, contact Paper Perfection at jtanddolly@yahoo.com for pricing and details.